After making the amazingly delicious double dark chocolate Levain Bakery copycat recipe, I’ve been wanting to make the chocolate chip walnut cookie recipe. After searching around the web, I decided to work with the copy cat Levain Bakery recipe from Parsley, Sage, Desserts & Line Drives and tweak it a bit. I’ve never been to the Levain Bakery, never had one of their cookies and am not so sure I ever will, and really haven’t a clue if this actually tastes like their cookie, but this much I know…. This is one damn good cookie. It maintains that slightly dough like consistency inside, which is heavenly. After making this cookie, I don’t plan to be making the recipe off of the Nestle chocolate chip bag (though I will give it credit, it served me well for many years). The biggest difference in this recipe for me was that it did not call for vanilla, and it included cornstarch. At first this seemed really odd, but I remember my mom always adding a box of vanilla pudding mix to her chocolate chips cookies. Given that the second ingredient on the pudding box is “modified food starch” (which apparently often means cornstarch), I figured it was a safe add in to try. 2. 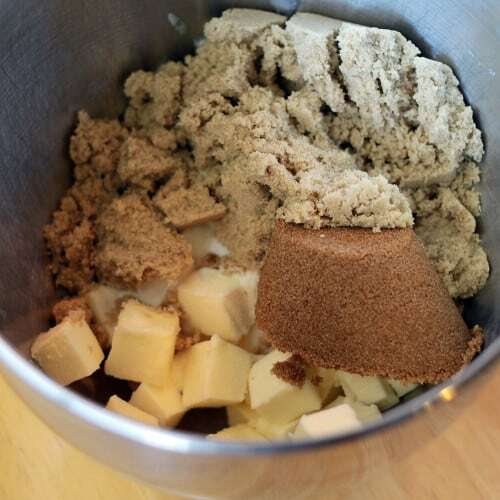 In a large bowl/mixer bowl, cream together cubed butter and sugars until well blended and fluffy. 3. Add eggs, one at a time, until well mixed. 4. 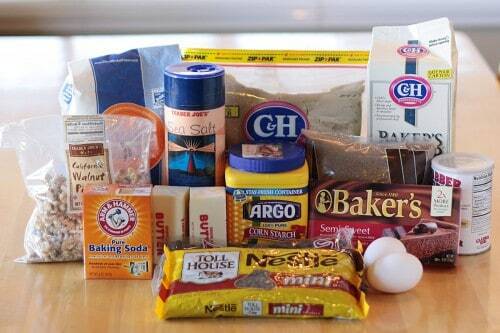 Add flour, salt, cornstartch, baking powder, baking soda & salt to butter, sugar and egg mixture until just combined. This should be a very thick mixture, and not sticky. If your dough is still sticky, try adding more flour, 1/8-1/4 cup at a time. 5. Add in chocolate chips and nuts. 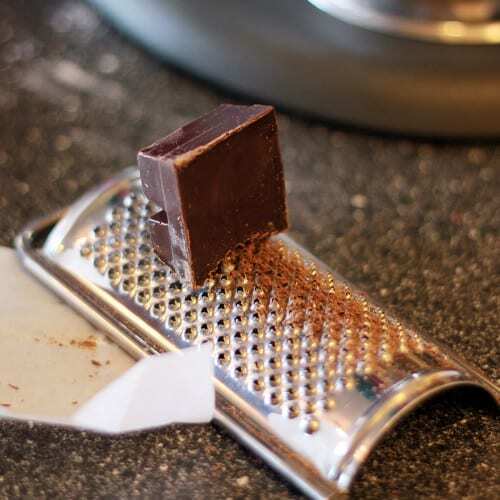 If you are using a block of chocolate, you will want to grate it and add it in as well. You can even use a chocolate candy bar for this part. The grated chocolate just adds a hint more chocolate in every bite. Yay for chocolate, chocolate and more chocolate! 6. 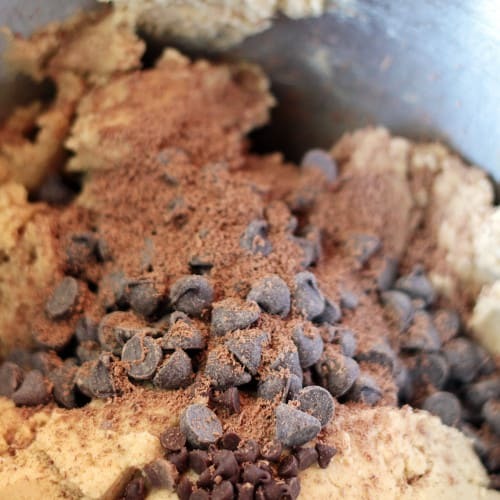 Combine the dough and chocolate chips. My dough was so thick that I had to do this by hand, a bit like kneading bread. 7. Divide into portions to bake. I scaled back a bit from the giant Levain Bakery size cookie and instead of making 12 cookies with this recipe, I made about 18. I worked the dough into balls, and put them on the cookie sheet, leaving ample room between them. I did not flatten the dough out at all. I also did not use a silpat, parchment paper or grease the cookie sheets. I’m a baking rebel when it comes to putting my cookies on the cookie sheets. 8. Put into the oven to bake. For my 18 cookies, each sheet took approximately 10 minutes. Larger cookies will obviously take a few more minutes. Watch them closely and don’t over bake, or you will ruin the gooey wonderfulness inside. I pulled mine out as soon as I saw them start to lightly brown. 9. Let cool and remove from pan. 10. Break one open and eat. Squeal with joy after tasting. Figure out who to give them to or where to hide them so that you don’t eat the entire batch in one sitting. 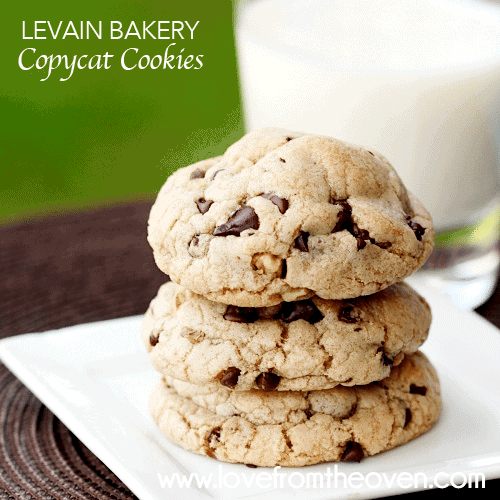 Some day I am really going to have to try an actual Levain Bakery cookie. So far the two knock offs have been AMAZING. Next time I may have to try the dark chocolate peanut butter cookie. Or the oatmeal, subbing out the raisins for butterscotch chips. Either way, I have a feeling it will be scrumptious! Can you send me some to The Netherlands? These cookies look so good. Yum! The cookies look beautiful! You are a woman after my own heart. I am trying to duplicate Carol’s Cookies which are similar to the Levain cookie. Here was my go at it: http://fauxmartha.wordpress.com/2011/01/31/not-your-moms-chocolate-chip-cookies/ . Love your blog! 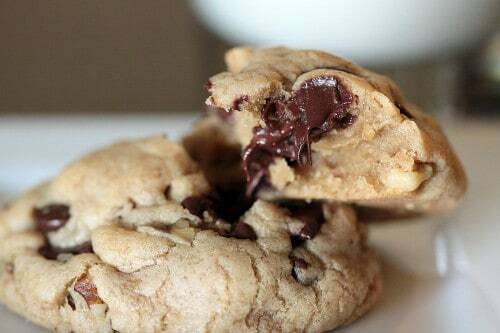 Wow…that is a great cookie….I need one….yes yes. Better than in any store..looks so amazing and full of chocolate,,that’s how chocolate chip cookie should look! Love the photos too! I recently went to Levain and loved their cookies. I can’t wait to try this recipe! I love the way your cookies look! You NEED, and I mean NEED, to go to Levains! I had one of the cookies there a couple months ago, and right after I tasted it, I knew it would (from then on) be the last food I would want to eat if I knew I was going to kick it tomorrow. THEY ARE AMAZING. First off, I just love your website. It makes me giggly like a kid in a candy store. So bright and delicious. Secondly, these look amazing. I’d stuff a little reese’s in there and call it a day! Perfect cookie! Your cookies look so plump and chocolatey! I’m also in love with your photos, they are amazing! 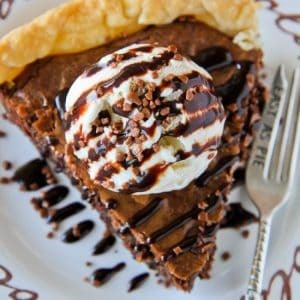 This looks so sinfully delicious. I’m not a huge cookie fan, but these look really good. And your photos are just as delicious! 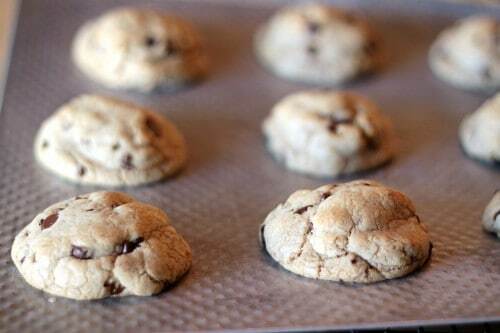 Love how chunky these cookies are! Yum! Your cookie photos are beautiful. 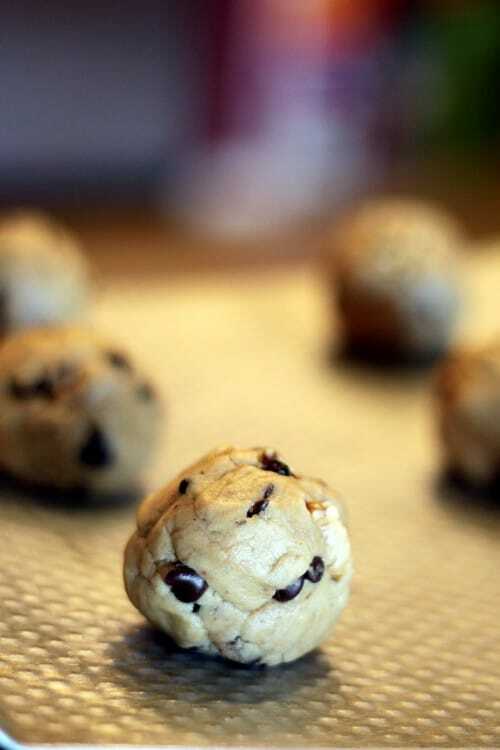 I only recently learned about the trick of adding pudding mix to your cookie dough and used chocolate pudding to make chocolate cherry chip cookies. They aren’t quite as puffy as yours though. I’ll have to try the cornstarch trick sometime. Thanks for sharing! Here’s what my chocolate pudding cherry chip cookies looked like: http://bit.ly/gZ4HVg . Second recipe I’ve tried of yours…again…amazing! Great recipe. Baked up exactly as pictured! Amazing nutty/buttery aroma while baking. 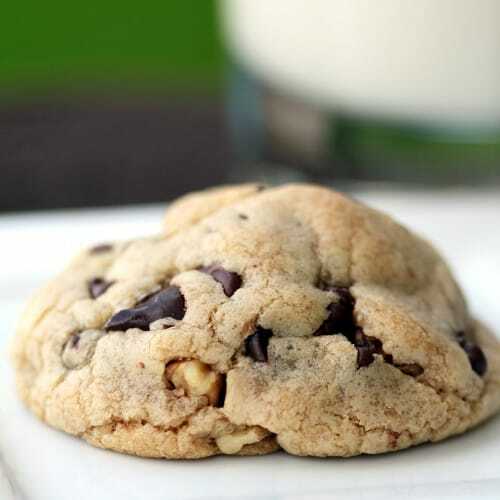 The salt in this cookie pulls out the flavor of both the cookie and the chocolate unlike other recipes, including my previous go-to Martha Stewart choc. chip cookie. Thanks for sharing!! 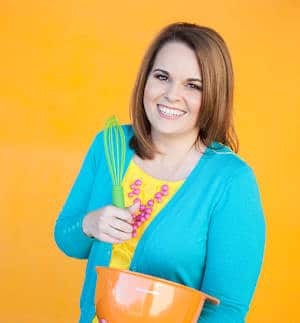 Annabelle – so glad the recipes are working for you. Isn’t it the best chocolate chip cookie??? I truly don’t know that I’ll use any of my old recipes. This one is just perfect. LOVE it! These are phenomenal. Made them for the second time today. So so close to the real thing. Really the only thing different is that I didn’t use the quality chocolate as Levain. Yummy. I want the eat them all. Just made these tonight. I have been searching for months for the “perfect” chocolate chip cookies…chewy and thick, and these are it!! I love them! Gooey, thick, sweet. Thank you! 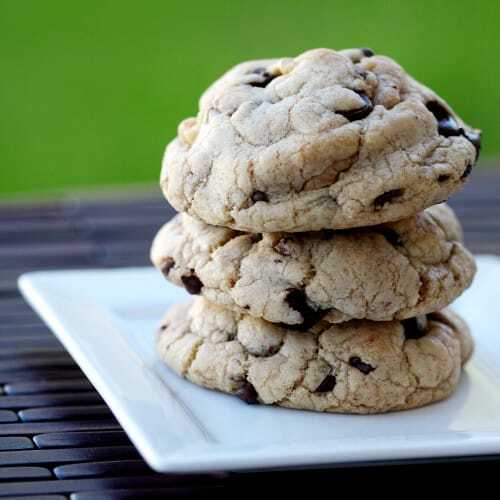 I just went to Levain’s for the first time about a week ago so I’m soooo excited to try this recipe because their cookies were wonderful and these look amazing! Awesome!! WOW…My daughter just came and grabbed one and said “Mom I have always wanted a cookie that was not flat”. My family said these are the best cookies I’ve ever made!!!! I omitted the nuts. Thanks for the recipe! I recently made these cookies for Boss’ Day and let me tell you that they came out better than expected! I too owned a whoopie pan, both the heart and circle shape, and I didn’t realize that I put too much dough in the pan until it was too late. Needless to say I had massive sized chocolate cookies and no one seemed to mind when I put them on the table to eat. Thanks for the inspiration. Now, I’ll make the double chocolate chip Levain cookie! I went to Levain yesterday to check out the cookie. I live in NYC and have passed the bakery a thousand times, but for some reason never went in. Maybe 15 years ago I went in, but do not remember what I ordered. The cookie was good. Largish…pricy at $4. But not the amazing cookie that I have been reading about. They don’t serve it warm, and I think that would make it better. I wanted to taste test it against the NYT Jocques Torres cc cookie that King Arthur recipes tweaked. I have been making that KA cookie of late and we really like it. I am going to do a batch of yours and a batch of those and then do a taste comparison. I liked that Levain cookie was chunky, not flat. 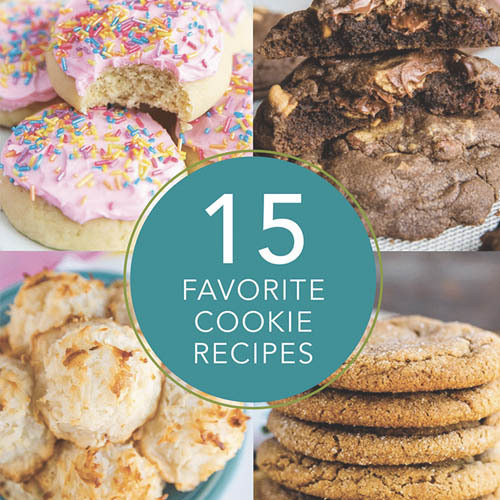 Have you tried making the NYT cookie or the King Arthur variation? It is excellent but it is not the cookie batter center type cookie. Maybe there is room for both in my house (and stomach). Cookies look amazing! 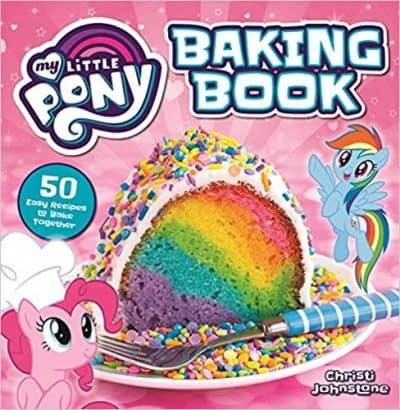 I was planning on making this myself and was wondering how many minutes you pre-heat the oven? I finally found the best chocolate chip cookie! I am so exciting that I can make those awesome cookie! my country’s measurement system is different from yours. how weigh 1 sticks of butter? 113g is OK?? I am wondering why there isn’t any vanilla extract?! The cookies are in the oven baking now and smell divine! 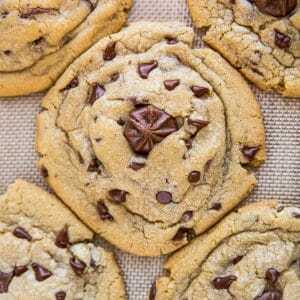 Awesome recipe…I saw the pic and thought that’s what I’m talking about…no flat cookie. I hate flat cookies… I did however sub in 2.5 cups of oats for 1 cup of flour….kind of an experiment, but wow it worked!!! I love me some chocolate chip oatmeal cookies and couldn’t resist! Used a silpat and they came out with a nice solid bottom and soft gooey insides. 11 min at 375. I think next I’ll make the recipe as written above and compare to this oatmeal version. I saw this receipe and wanted to give it a try. I made a batch for my wife for Valentines day. WOW, these are GREAT. The only change that I made was the I made 16 cookies, not 18 and left them in for 13 minutes. The only downside is that each cookie has approximatly 380 caloires. Unlike Lays, you should only eat one. I can’t wait to try the other receipes. Does this recipe call for salted or unsalted butter? Thanks! Mara, honestly I never really pay much attention to salt or unsalted butter, and flip flop between the two interchangeably. That said, I like a saltier taste to cut sweetness, so most often I buy and use salted butter. 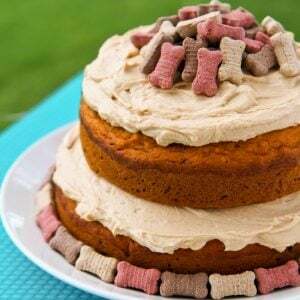 I’m really flexible in my ingredients in things, which is one of my challenges as a baking blogger, I’m not always scientific – trying to improve that! I’m making these tomorrow. My friend was raving about Levain’s cookies, but she’s much closer to the bakery than I am (I’m in Kansas for goodness’ sake!). 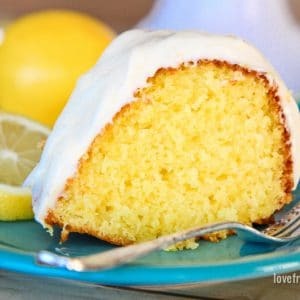 So I found your recipe on the webs! I am sad I am lacking a few ingredients because I’d really like to make them *right now*. I, too, almost always use salted butter when I bake, even if the recipe calls for unsalted. Nothing has ever bombed, and after having tasted cookies without salted butter, I have decided that my way is better (good thing, because I’m not changin’ my way). These looks amazing!! Can’t wait to try them. Seriously delicious. Taste is wonderful and texture is PERFECT. I thought they might be too sweet – but not so. Top of my Cookie List! Thanks. I’m trying the recipe. But very hard to find the stick butter. I don’t know why this seems to be working out perfectly for you guys but mine turned out a lot darker compared to the picture, and they were too salty (I mean, really). Plus, I noticed that your dough looked kind of dry whereas mine was oily to the point that after the cookies were sitting on the tray (while I was waiting for the oven) I noticed that there were small puddles of oil under them. Maia, yes, my dough was very dry. I usually aim for a dry dough an will often add more flour if I feel that it’s too sticky. Hmm was your butter cold? 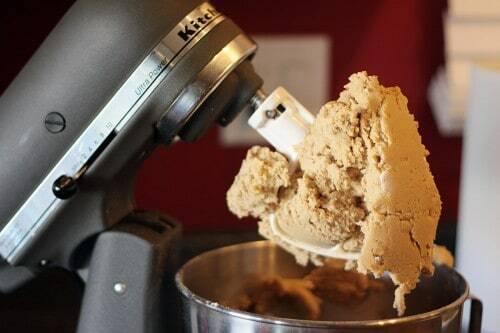 This is one of the only cookie recipes I have that calls specifically for COLD butter. The color thing has me a bit stumped. Did you use the mix of white sugar, light sugar and dark brown sugar? Did you go with 1.5 teaspoons of salt? That can always be omitted if you prefer, for my taste I like a salt to balance the sweet – but really the only thing salt does is change the flavor, so you don’t have to use it. I live in Australia so have never been to Levain bakery. Your cookies sound heavenly…so wish me luck with the cooking.. and happy easter everyone..
Melanie, I agree, oatmeal choc chip is the BEST. I would cut back a bit on the flour and add in the oatmeal. Maybe not a exact swap, maybe take out 1/2 cup flour and add 3/4 cup oatmeal type. I will put that on my list of things to try and share on here – LOVE oatmeal in cookies! I noticed your cookie sheets looked dimpled, are they? If so what brand are you using? Anna, I have one that is, most are not. Honestly I think I picked it up at Target probably 8+ years ago. My favorite baking sheets are the plain regular ones, and I love the non-stick ones that Crate & Barrel sells. Just made these, I didn’t have dark brown sugar, so I just substituted light brown sugar. The cookies still came out great! The first batch I rolled them like she did, but found that they didn’t spread at all. So, the next batch I rolled them and then flattened them out a bit. Despite not spreading the first batch tasted wonderful. And the second batch was perfecto! why the 2 tsp of cornflour,cant see that it makes any difference ? John, there has been much conversation about cornstarch being one of Levain’s “secret” ingredients, so just trying to replicate their delicious cookies! 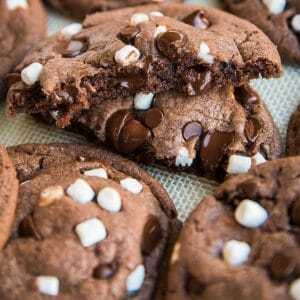 Really a wonderful recipe of chocolate cookie, can’t wait to try it soon as the pictures itself looks so yummy than what to say about the taste.. a nice recipe blog..
What are the alternations for high altitude on this recipe? The best cookie recipe I’ve ever tried. Incredibly yummy. Everything is perfect. Wonderfully delicious. 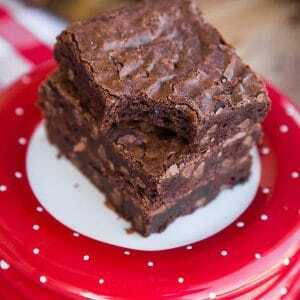 A piece of heaven in your mouth.Thank you for sharing this recipe. I made these in a chocolate chip cookie contest, and these won 2nd out of 6 with 15 judges! I loved them and I’ll make them again and again! So glad you liked them Melania!